The story of the biggest jet-set love scandal of all times. 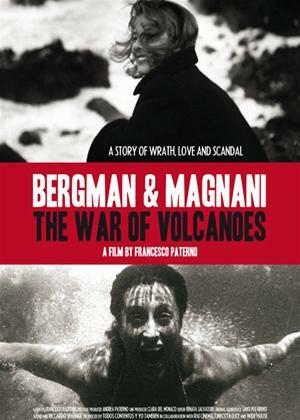 The War of the Volcanoes is a documentary entirely based on the rich footage depicting the intense and dramatic love story between the world’s most famous actress the most appreciated director by Hollywood of his time and Italy’s most beloved actress. This is a story of wrath, suffering and love and at the same time the story of Stromboli a God-forgotten land, that for the time of the filming becomes the center of the world. Two colors reflect its primitive and mythical nature, the black of the volcano and of the sand and the red of the lava. A place with a strong identity, capable of destabilizing, of bearing the soul of our characters and to give them the strength they need to make courageous decisions. The War of the Volcanoes tells a part of Italian and world cinema history, an intense and timeless story like the island where it takes place.